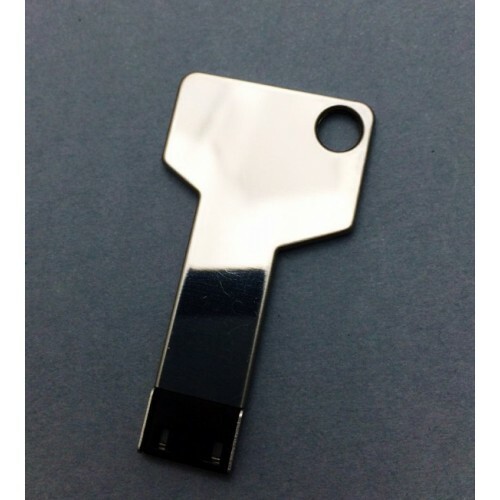 A Key USB shaped in the form of a house with the memory stick looking like a chimney extenteding out of the house. You will be surprised once you get your hands on this and feel how sturdy the full metal encasing of USB is. Take advantage of it's full metal body and engrave your logo on it to create a premium look and finish. Customers and staff are bound to be impressed once they receive this prodct and hook it to their keys. Most importantly, the dimension of the flashdrive are 52 mm x 23 mm x 3mm. Artwork space is 35mm x 8mm along the centre of the USB Key. Colour options include Silver or oxydising the metal to any colour of your choice. Storage capacities we offer are 1GB/2GB/4GB/8GB and 16GB. Prices will be nclusive of a one colour one side printing.Print setup costs will also be included in the quoted price. 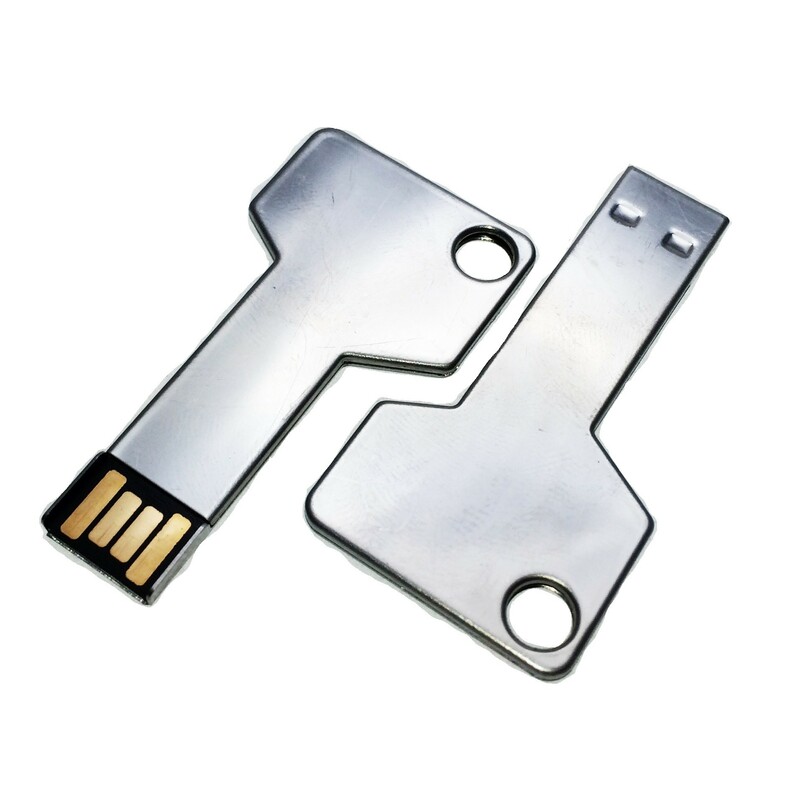 If you require your company or product information to be loaded on the flash drives, we offer data loading for free up to a 150MB file size. These personalised flash drives are packed in individual polybags and they can be further enhanced with optional accessories including a magnetic gift box/ tin case/ PVC clear case/ mini lanyard/ long lanyard/ key ring and velvet pouch. Order starts from a minimum of 50units with your logo branded. As you increase your order, you will start to see the savings of ordering in bulk. Feel free to contact us either by calling us or simply hit the enquire button to get in touch with us for a free quote and a free mock up. Our prices are GST exclusive. We offer free freight on our standard 2 week turnaround time. Rush orders are possible so feel free to ask about our expidited services. Delivery is Australia wide so no matter where you are, our couriers will be able to deliver your products directly to you.